Blue Corduroy Crochet Lessons :: How to Crochet a Shell Stitch and Make a Simple Blanket too! If you've been following along with my crochet lessons, then you know how to crochet a chain, single crochet and double crochet, you can give this fun shell stitch a try. If you're just now joining and need some reminders or beginning instructions on how to get started with crochet, I suggest taking a look at my Crochet Lessons, which are easily arranged by stitch. This shell stitch has a pretty texture that makes it a fun alternative to row after row of just single or double crochet. The shell stitch begins with a row of chain stitches in a multiple of 3 plus 2. (i.e. 3 x 4 + 2 = 14). Row 1: SC in 2nd chain from hook, *ch2, skip next 2 ch, sc in next ch; repeat from * to end. turn. Row 2: Ch3 (counts as dc), dc in first sc (right next to ch3), 3dc in each sc across row, ending with 2dc in last sc. turn. Row 3: Ch1, sc in first dc, *ch2, skip next 2dc, sc in next dc; repeat from * across, ending with last sc in 3rd ch of turning ch, turn. Rep Rows 2-3 for pattern. For a chunky and cozy baby blanket or throw blanket, this pattern is a great way to try out your new shell stitch skills. Start with a slip knot. For baby blanket measuring about 30" x 40" Ch 74 and follow the shell stitch pattern above for 58 rows. For throw blanket measuring about 45" x 60" Ch 110 and follow the shell stitch pattern above for 84 rows. Pull yarn through final loop and weave in yarn ends. Get cozy! I hope you have fun with this cozy project! If you make a blanket or any other project with this stitch, I'd love to see it!!! You can tag me on Instagram @emily_bluecorduroy, or send me an email emily.bluecorduroy@gmail.com, I'd be thrilled! For help with any of the basic stitches used in this pattern you can refer to the Blue Corduroy Crochet Lessons series. Have you tried the Free Crochet Dishcloth Pattern yet? It shows how to crochet cotton dishcloths in three different patterns. So great for gift giving or just pampering yourself in the kitchen or bath! My favorite way to repurpose my girls' jeans is to make a cute new pair of boho style jean cutoff shorts. When their jeans get too short and too tight I've found a way to get one more season out of them by making jean cutoffs with an extra strip of fabric down the side! 3) Pick your favorite fabric and cut strips as long as your new shorts from waist to cut off edge, and as wide as you need to make the shorts fit comfortable plus seam allowance. 4) Sew these strips in right sides together. I like to taper in a bit up by the waist for a more flattering and comfortable fit. Be careful for any metal rivets (usually near the pockets) These guys are notorious needle breakers. 5) If you want your new cutoff to have a raw edge, I like to sew a straight line about 1/2" up to keep a tidy fringe, without an excess of unraveling. These are so easy to make! You get to decide how short you want them, what color fabric to add, and how much wider they need to be to fit comfortably. I also feel like this is a pressure-free sewing project, since these jeans are already useless, you really have nothing to lose! Follow me on Instagram to see all the pretty places Ginger will be wearing her new jean cutoff shorts @em_waechtler and @emily_bluecorduroy to see all the cute babies in Blue Corduroy sunhats! Some more fun and quick clothing alteration DIY's you may want to check out Easy 3 step T-shirt to Tank Top DIY and How to Turn Your Skinny Jeans into Boot Cut Jeans. The weather has been beautiful and we couldn't resist taking our crochet outdoors to show Ginger how to do a double crochet. We had a lot of fun sitting in the sun with our yarn, and in the end, Ginger mastered the stitch! This is the fourth lesson in our Blue Corduroy Crochet Lessons series, you can refer back to the other posts to brush up on the skills needed to prepare you for this stitch. Double Crochet is a fundamental crochet stitch and is also a building block to more complex stitches and patterns. When you're using a pattern the abbreviation of double crochet is DC. 1) Double Crochet is really just a more involved single crochet. Rather than starting out by putting your hook through the hole of the stitch below like in a single crochet, you are going to place the yarn over your hook before you insert it into the hole. 2) Once you've inserted the hook into the hole of the stitch below, you will yarn over and pull a loop through the hole. This means you will now have 3 loops on your hook. 3) Yarn over, and pull a loop through 2 of the loops already on your hook. You will now have 2 loops remaining on your hook. 4) Yarn over, and pull a loop through the remaining 2 loops on your hook. You are left with one loop on your hook and have just completed your first double crochet stitch! Now that you know how to do a double crochet stitch, you will be able to make a granny square, a ripple stitch, a shell stitch, and lots of other beautiful projects! Subscribe to my Blue Corduroy Youtube Channel to get the next lesson and you can also follow me on Instagram @emily_bluecordory for works in progress along the way! If you've been following along with my Blue Corduroy Crochet Lessons series, you now should know how to make a slip knot, do a chain stitch, and single crochet. Ready to make a cotton dishcloth and practice your new skills? This Free Crochet Dishcloth Pattern is the perfect way for you to put your new skill into action creating a useful item. There are three variations on the single crochet stitch to help you improve your skills and keep you interested. One is the basic single crochet, the second helps you get in the rhythm of skipping stitches and doubling up on stitches, and the third is a combination pattern including chain stitches and single crochet stitches. Learning how to read a crochet pattern can take a bit of practice. The key is understanding the abbreviations used. It can feel a bit like cryptic code solving. Because we're starting off with a basic pattern, there are only 2 abbreviations you need to crack this code! CH = chain stitch. The pattern will tell you when to chain stitch and how many to do. SC= single crochet. 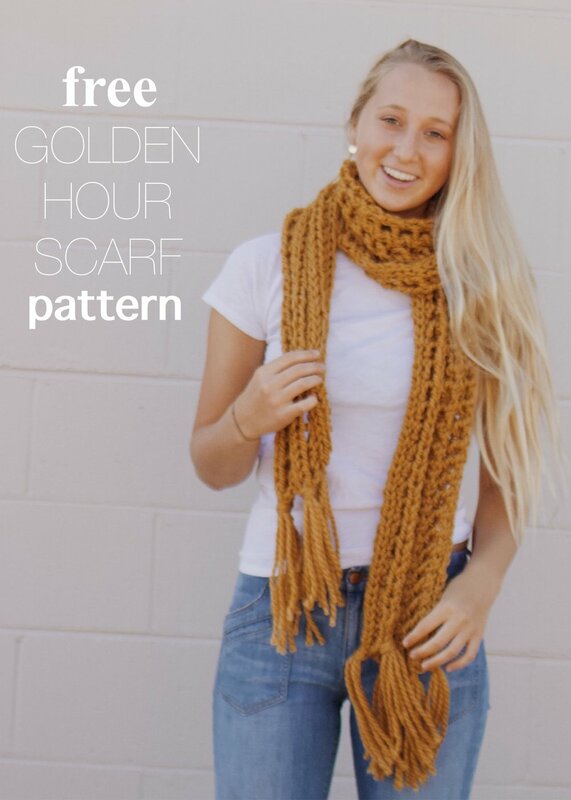 The pattern tells you when and where to make each single crochet. The other thing I find useful when following a pattern is to not get overwhelmed with trying to understand the whole pattern all at once. If I just take it one direction, one stitch at a time, then I usually find it much easier to comprehend. The pattern will also suggest what yarn to choose and which crochet hook to use. So you don't have to wander around the yarn shop getting distracted by all the beautiful options! Enjoy making your cotton crochet dishcloths, I'd love to see yours when you're done! Enjoy making your cotton dishcloths, I'd love to see yours when you're done! Sign up for my newsletter and be the first to know about fun new projects and cute new products! Natural dyeing has slowly crept onto my radar over the last few years. With all the amazing projects I've seen with simple easter egg natural dyeing, and shibori indigo dyeing, I've definitely had it on my mental list of crafts to try. What I didn't realize until I read "Natural Color" by Sasha Duer was the deeper impact underlying the fun process of making colors from your own backyard. The idea of "slow" fashion, and how our manufactured clothing is colored with chemical dyes that cover the largest organ of our body (skin), and how that can be compared to fast food choices verses cooking with real life-giving ingredients. This idea added a whole new dimension to my desire for natural color. Now, not only do I want to dye a linen pillowcase a pretty color, but to lay my head on something dyed with lavender sounds like a wonderful way to sleep! And the possibilities are endless. "Natural Color" by Sasha Duer was a beautiful introduction to the process of natural dying complete with specific projects to get you started and such lovely pictures along the way. She shares recipes by season so that whenever you plan on foraging, you'll have plenty of materials for extracting color. The idea of creating beautiful colors from avocado pits, mint, aloe, eucalyptus, redwood pinecones, pomegranates, and loquat leaves amazes me. Dyeing has also felt so daunting with all it's chemistry. Sasha Duer explains the plant dying process very thoroughly, from gathering your plant materials to caring for your dyed fabric. She talks about the different fibers, waters, and mordants (aids the dye in sticking to the fiber) and explains thoroughly yet simply. With Ginger's new love for spinning wool, we though the perfect place to get started would be to dye some of her homespun fibers. Because this new craft was so daunting to me, we though we would start with the most basic of projects and move forward from there. We chose to use Loquat leaves. There are lots of trees in our neighborhood and believe it or not, "Natural Color" informed us that these loquat leaves would produce a beautiful coppery/ peachy color. After foraging, we washed the leaves and then cut them into smaller pieces. We then simmered the leaves in filtered water for a half hour. After the water cooled, we put in her washed and rinsed fiber and let sit in the dye bath over night. The results were such a soft pastel color. My one mistake was to send the pretty balls of yarn off to the Grandmother's without taking a picture first. Our next project we hope to graduate to experimenting with mordants that have the potential to drastically alter and/or enrich our color results. I received "Natural Color" by Sasha Duer from Blogging for Books in exchange for my honest review. Making paper dolls is such a rich way for the kids to really get to know any character they are learning or reading about. It really forces the child to pay attention to specifics such as hair color, facial features, dress style, and habits. It also makes them feel very acquainted to the character after "making" them all afternoon. The familiarity they feel becomes a lasting knowledge of the person. All the more reason to surround your child with books full of characters worth getting to know. When we were still a part of a homeschool co-op, Ginger learned how to make paper dolls. It was a craft that went along with a book they read in first grade, "The Prince and the Pauper" by Mark Twain. She kept those paper dolls in a little brown paper bag fixed into her notebook and fondly visited those paper dolls often. Every now and then she adds to her collection of characters, usually from history readings or favorite story personalities. 1) Find a template you like. (I've included one at the bottom of this post) Print it out on thick paper and cut out. 2) Decide what character (fictional, historical, or totally made up) and gather supplies to inspire your vision. 3) Draw on a face. 4) Yarn makes great hair. Ginger has had lots of fun designing new yarn hair styles. 5) For clothes you can draw directly on the paper doll, you can cut out clothes to stick onto your paper doll, using paper, tissue, fabric, etc. Also here is where the sky is the limit as far as accessories and embellishments. Just grab all your craft supplies and go crazy! It's been so fun to watch Ginger's paper doll making skills grow the more she makes them, and I always remind her to write her name, the date, and the name of her character on the back of her paper doll so that when we look back through them, we're reminded of these times. The Doll ginger is making today was inspired by our history reading about the first settlers of North America from England and how they met Pocahontas and her family. Pocahontas by the D'Aulaire's is a beautiful book for inpsiration. She also put to good use some of the feathers we painted a while back. Here's the How to Paint Feather's blog post I did to see how we made the painted feathers. This blog post does contain affiliate links. Should you choose to make a purchase, I am paid a small percentage of money, at no additional cost to you. Thank you for supporting my blog in this way.